Running out of power is a pretty dependable occurrence for anyone who forgets to charge their phone or other devices on a regular basis. Everyone knows that most smartphones can’t get through more than a day or so without depleting their battery. One solution is to carry a portable charger around with you. This adds a few extra hours battery life, but at the cost of having to carry yet another cable in your bag or increase the bulk of your phone with a charging case. 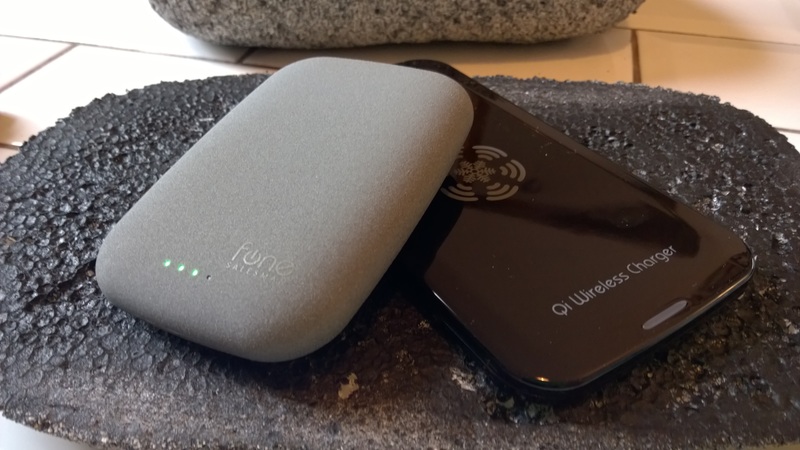 However, FoneSalesman’s QiStone+ portable wireless charger eliminates this problem by using the Qi standard for wireless charging to keep your phone (or other devices) juiced up while you’re out and about. In fact, the unit itself can also be wirelessly charged, providing you have another Qi-based wireless charger lying around the house somewhere. 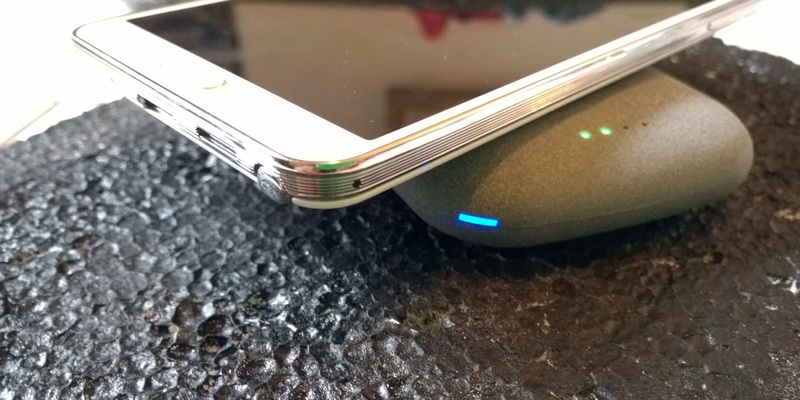 Conceptually, it’s a bit like the Russian nesting dolls of wireless charging. The company opted for a very literal naming scheme that serves as a big nod to it’s smooth-edged, pebble-like appearance. The Qi, as already noted, refers to the wireless standard that the device uses for inductive charging. On the front, there are four LEDs which indicate the amount of charge left in the 4,000mAh battery pack. There’s also a blue light in the left-front corner to indicate when a device is charging correctly. On the bottom there are four rubber feet to keep it firmly planted when on a table and on the back there’s a Micro USB port for charging it from a wall plug or PC, and alongside that there’s a regular USB 2.0 port for charging other devices. It measures up at 105 x 72 x 20 mm — which makes it 2mm thicker than Acer’s newest 13-inch Chromebook — and weighs 135 grams, the same as a Kogan Agora 4G or Samsung Galaxy SII. Clearly, with these sort of measurements, it’s not likely to win prizes in the ‘slimmest’ or ‘lightest’ categories, but it’s still not impractically large or heavy for something designed to be slipped neatly into a bag. 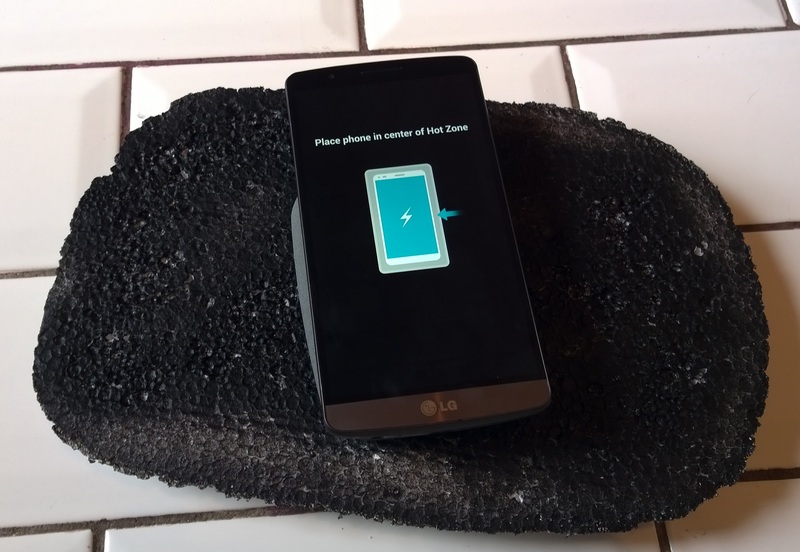 When you place a phone on top of the QiStone+, it’ll beep to confirm that it’s charging. If it beeps continuously, try slightly adjusting the placement of your phone on the device – it needs to be in the correct spot to charge properly. The idea behind that USB 2.0 port is that you can charge another phone or tablet (or any other device like portable speakers, fitness bands, smartwatches etc. that charges via a Micro USB connection) while replenishing your phone at the same time. Obviously, this will deplete the battery faster though. The USB port can also be used to charge your phone when both are placed in a bag – it could get a bit tricky trying to wedge them in together firmly enough to maintain the charging connection wirelessly, and sometimes it’s useful to charge while on-the-move. How long the QiStone+ will give you extra really depends on which phone you’re using. If it’s a Lumia 930 with a 2,420 mAh battery, it should give you around a full charge and a half extra. Handily, if it’s not being used, it will put itself to sleep after 30 seconds of inactivity. If your phone doesn’t support wireless charging out of the box, you will need to get hold of another Qi-compliant adapter. 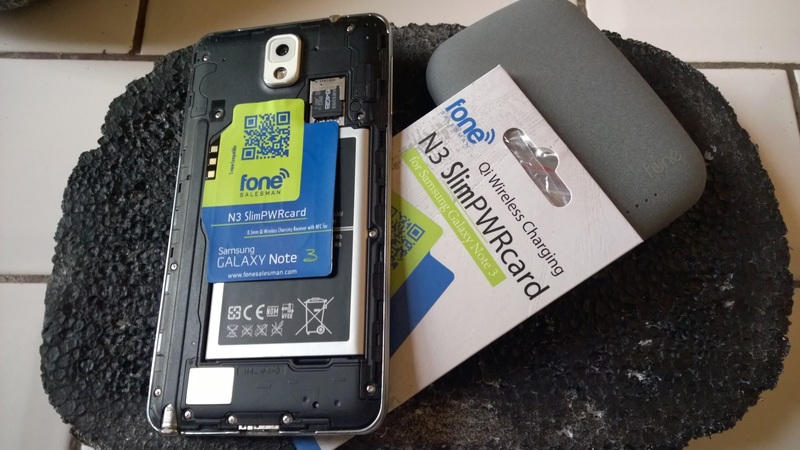 The S5 or Note III SlimPWRcard, for example, costs around $25 and slips behind the normal rear cover of your Galaxy S5 or Note III. 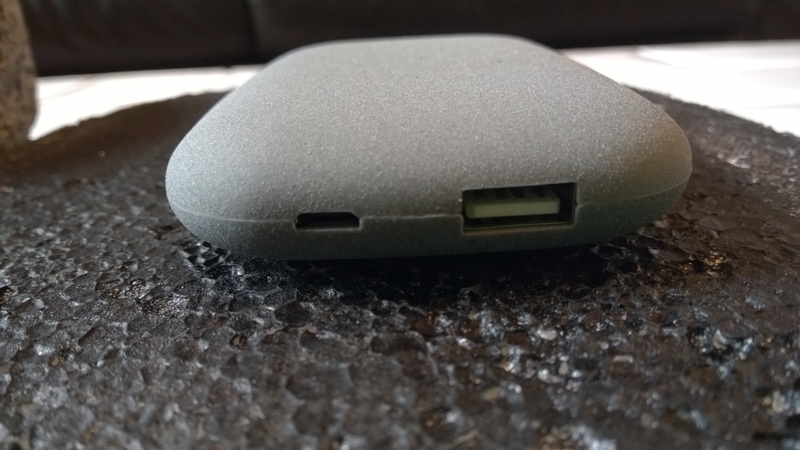 At around $75 (£45/€56), whether or not the QiStone is good value-for-money depends on what you want most from a portable charger. It’s certainly not the highest capacity – Dark Energy’s 8,000mAh power pack will give you more longevity and still allow charging of two devices at once, but it costs $129 (plus $25 if being shipped internationally) and you’ll still need two cables if you want to make use of the multi-charging option – and at the other end of the scale is Native Union’s tiny $49 JUMP charging cable, along with its relatively tiny 800mAh of reserve power. Ultimately, I’m a little torn – it’s incredibly convenient (providing you remember to keep it charged) to be able to just pop the QiStone+ in your bag and take it out when you get to your destination for a little extra juice, but then you could do that with any portable charger and if you want to charge two devices at once, you’ll still be carrying at least one Micro USB cable around with you anyway. If, however, you like the idea of ditching the cables altogether but still want at least one extra full charge out of your smartphone, then the QiStone+ is one way of achieving that without breaking the bank. The QiStone+ is available to pre-order now and is set to start shipping on August 18.